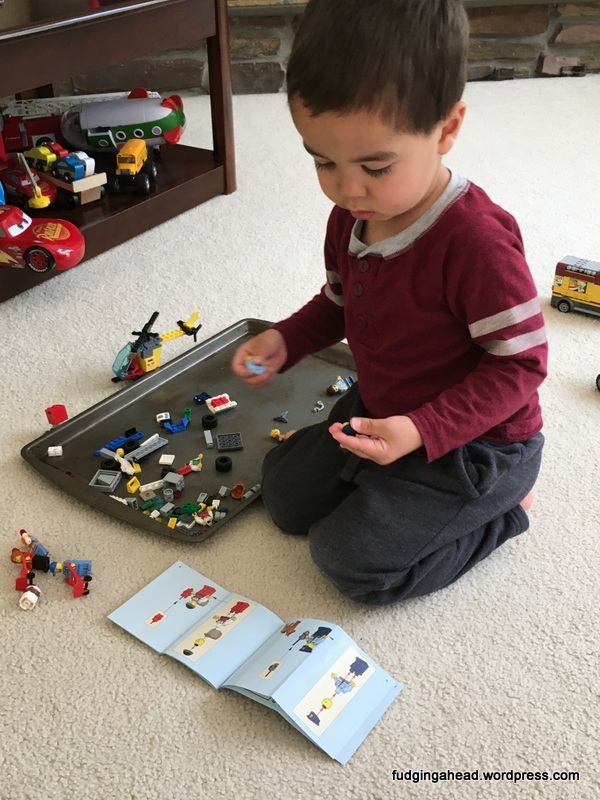 I chose this picture because I love how focused he is with his Legos. And really with any of his playing. He plays solo a lot more and creates elaborate stories. Sometimes it is nice because I get a chance to cook/read my own books/play with the Chiplet/etc. But other times I get a little sad because I realize that our days of playing together are fewer and fewer as he gets older. One day soon he will realize I’m not actually cool. Eep! But I do like how he is able to puzzle things out on his own now. He even sits and reads his books to himself. I’m becoming redundant! Yes, he is definitely too big for his bouncer. We only put him on it for a moment to rest him after he eats and I don’t want him rolling and spitting up on everything. 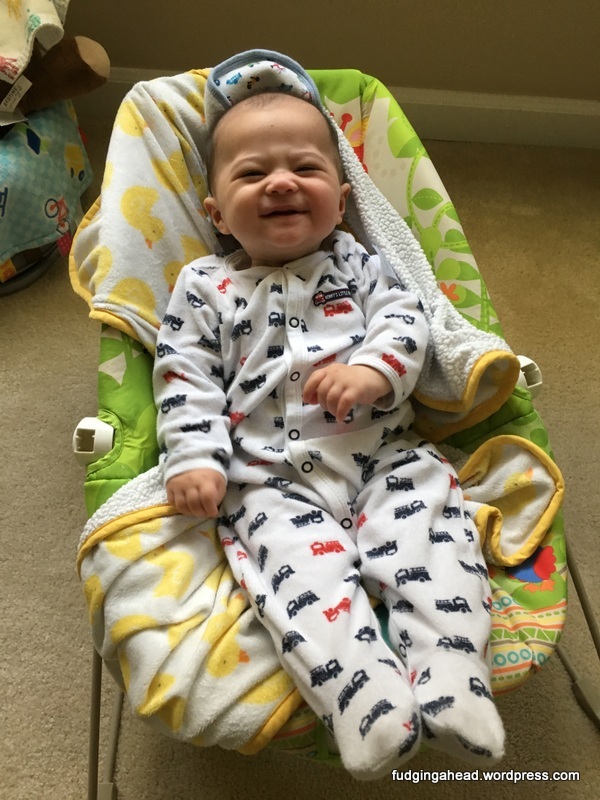 He motors around so quickly now, so it is nice that he will sit for a minute in this. He thinks it is hilarious to bounce. I like any picture where I manage to capture him laughing. By the time this posts, my birthday will have already happened, but I am trying to think about what I might want to make for it. This pie could be a contender. This broccoli soup looks like something the Fudgelet might like, but I wish it was a bit easier to make for a lunch. Maybe when the Chiplet isn’t roaming all over the place making it hard to cook, haha. This pancake not only looks cool but sounds delicious. It also doesn’t appear as complicated as I would expect (unlike the soup). I love ice cream sandwiches. I’m still working on getting the Fudgelet to like ice cream more. Maybe if I can find a way to make these less messy (he also doesn’t like getting messy). This cake sounds like such a good idea. Coffee and milk? Of course.